It was a special day on campus as seniors AJ Donofrio and Paul Mulcahy signed National Letters of Intent while fellow senior Sarah Smith announced her intent to compete at the NCAA Division I level next year. 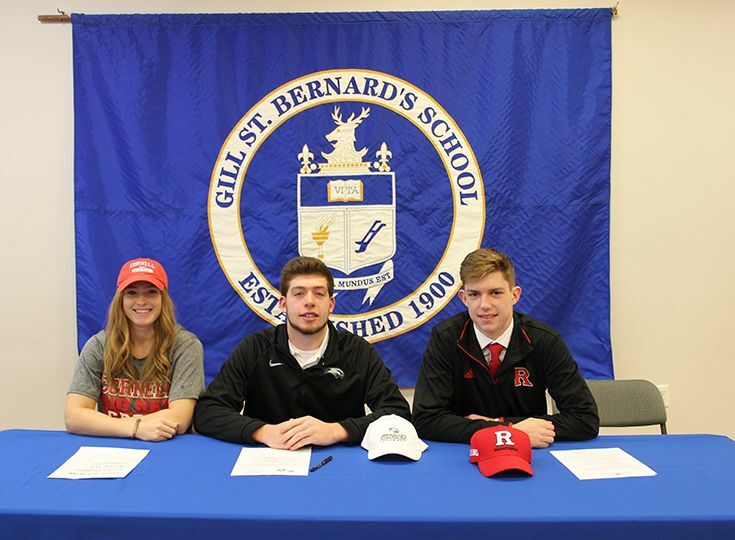 The three student-athletes were surrounded by family, friends and coaches as they took the next step in their athletic careers. 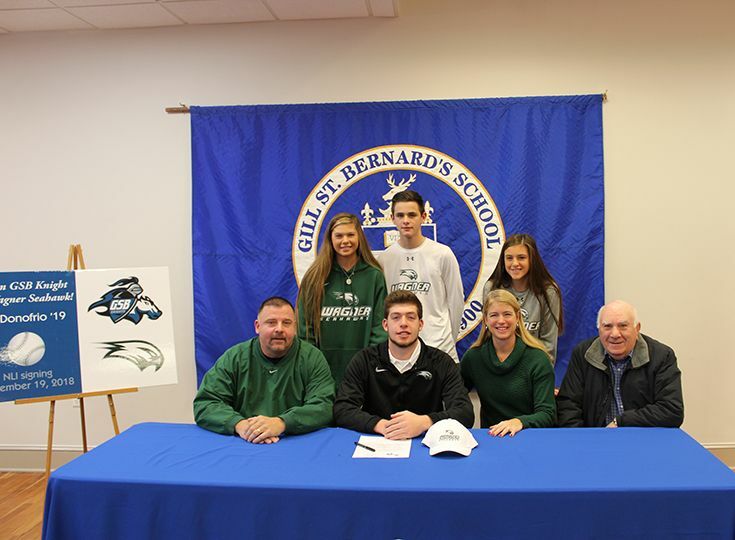 AJ Donofrio (Wagner College, Baseball) – Donofrio signed his National Letter of Intent to join the Wagner College baseball team next spring. Donofrio has been a solid leader on the baseball diamond for Gill, as he has been a two-time 1st Team All-Conference and 1st Team All-Prep B selection. He has helped the Knights to three Mountain Division titles. 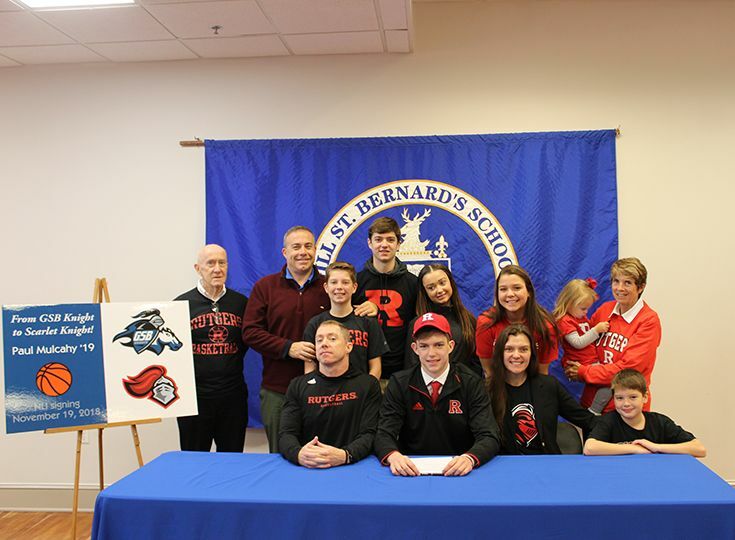 Paul Mulcahy (Rutgers University, Men’s Basketball) – Regarded as one of the top basketball recruits in the state, Mulcahy signed his National Letter of Intent to compete for Rutgers University next year. Mulcahy has been terrific on the court, being named three-time 1st Team All-Conference, two-time 1st Team All-State (non-public), one-time 1st Team All-State (all schools), and is the reigning Skyland Conference Player of the Year. His great play has helped lead the Knights to three Somerset County Championships and three Raritan Division titles. 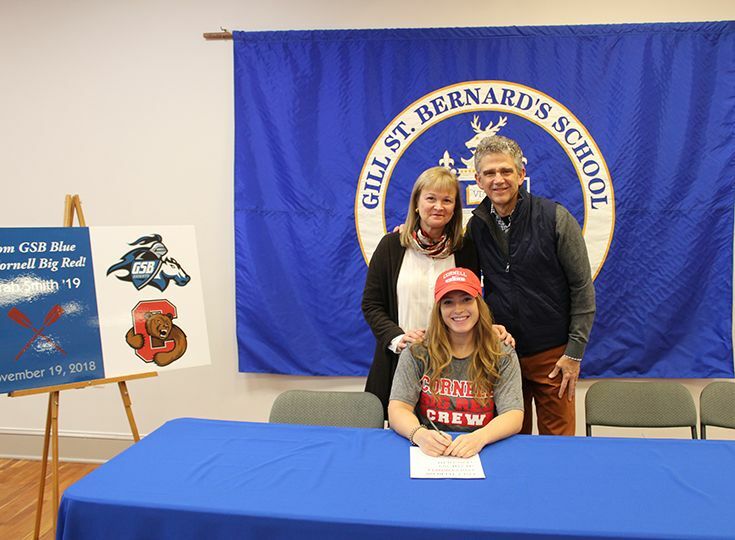 Sarah Smith (Cornell University, Women’s Rowing) – Sarah Smith announced her intent to row in the Ivy League for Cornell University next fall. Smith currently competes with the Mountain Lakes Rowing Club and her squad placed fourth in the Varsity 4 race at Nationals this past summer. Congratulations to all three of our Knights and best of luck in your future endeavors!